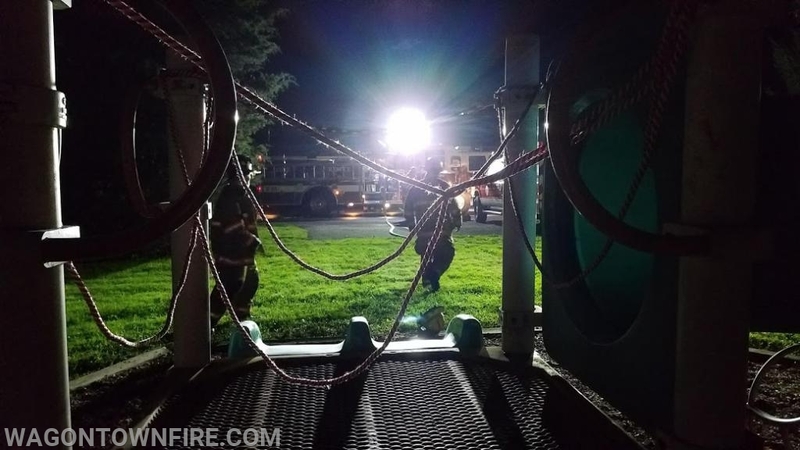 On Wednesday night the members gathered and went to the Kings Highway School to practice some hoseline training as well as self rescue from entanglement issues. 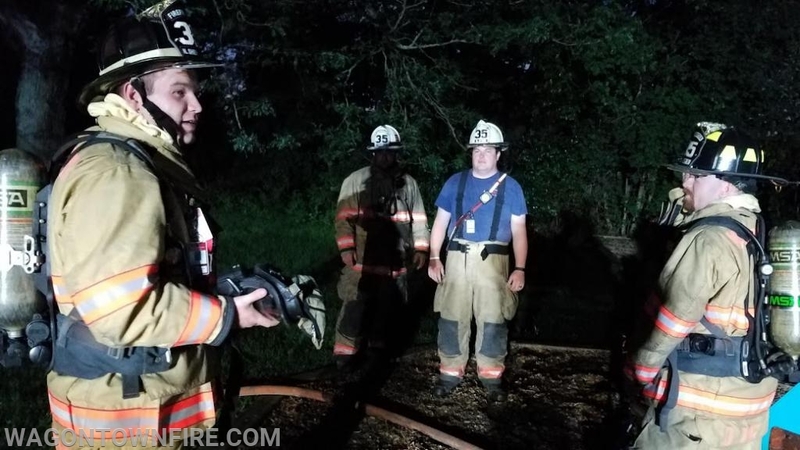 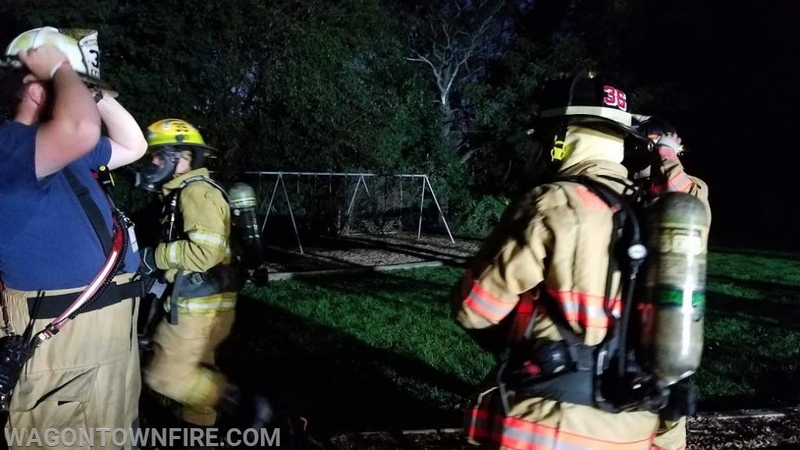 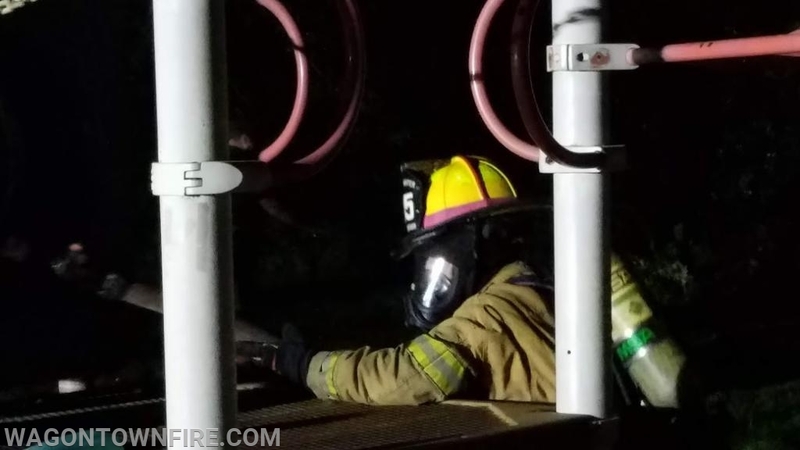 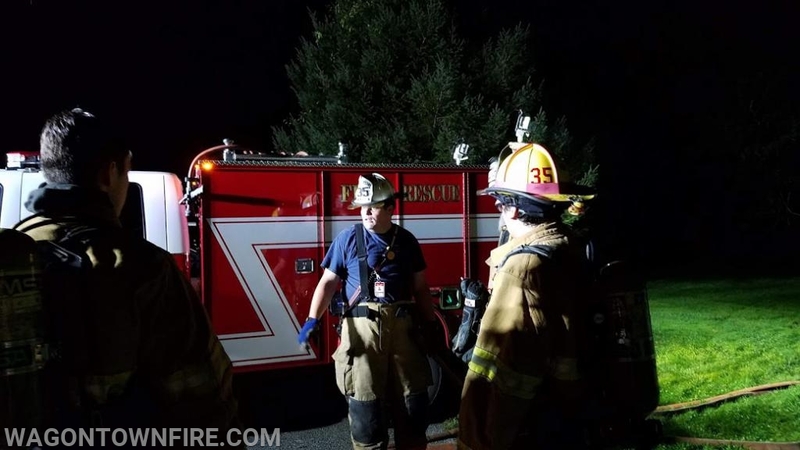 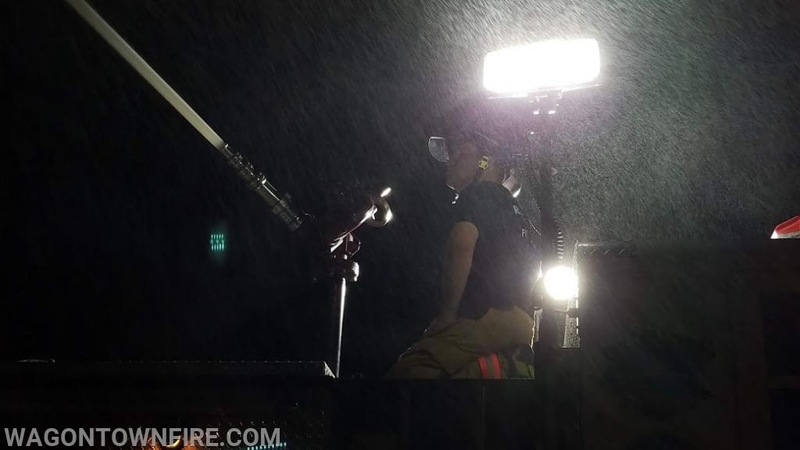 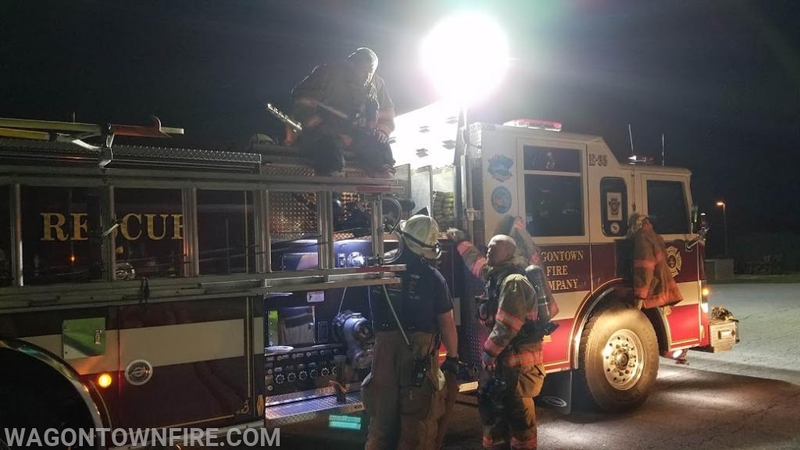 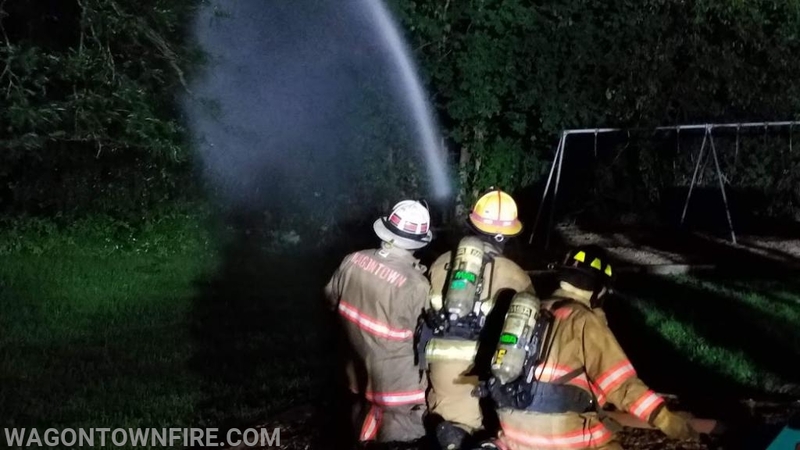 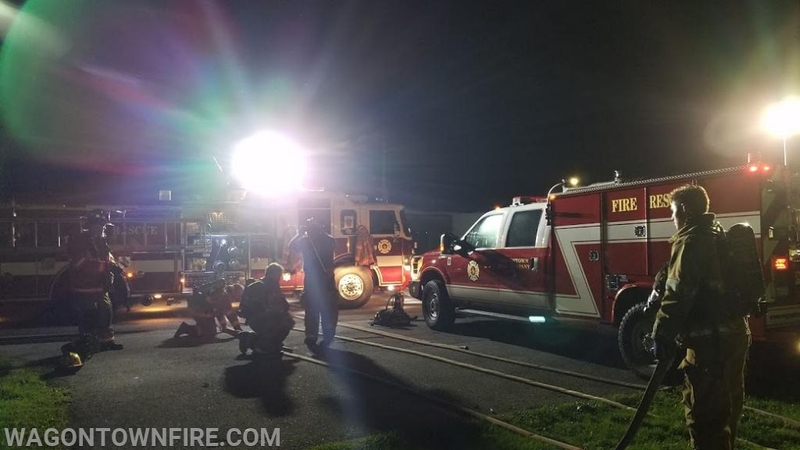 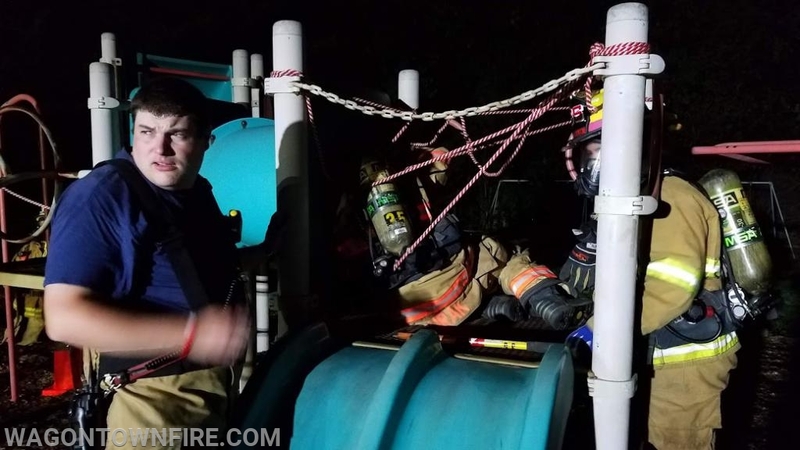 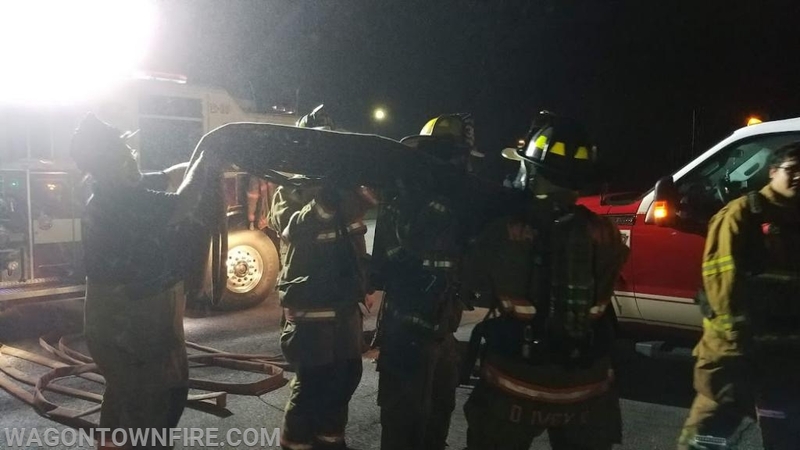 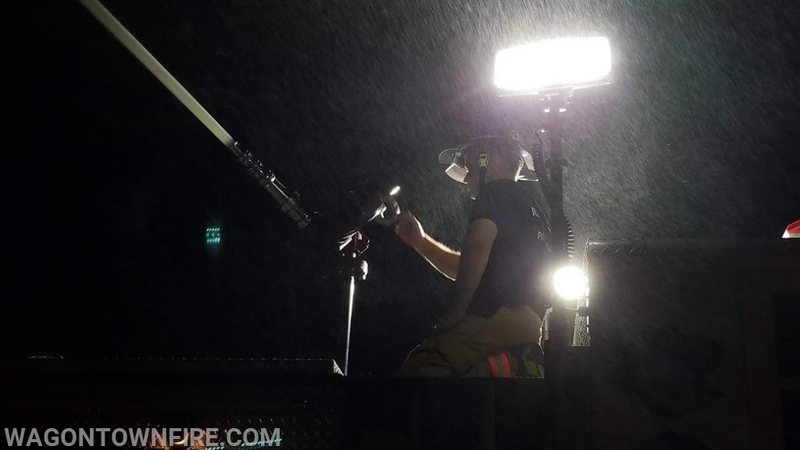 We at Wagontown continue to train weekly on such important topics that allow us to stay on top of emerging ideas and trends as well as become proficient in the methods of Firefighting. 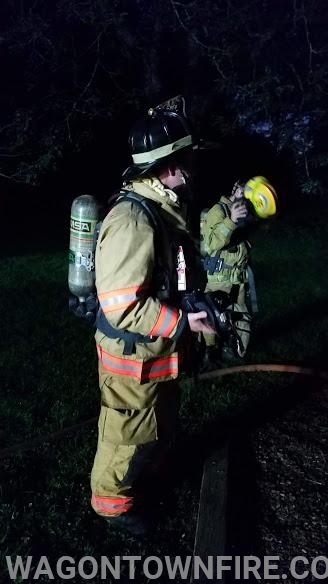 All of this training allows us to be properly trained and sharp in our skills and tonight was just another piece of training that allows us to do just that. 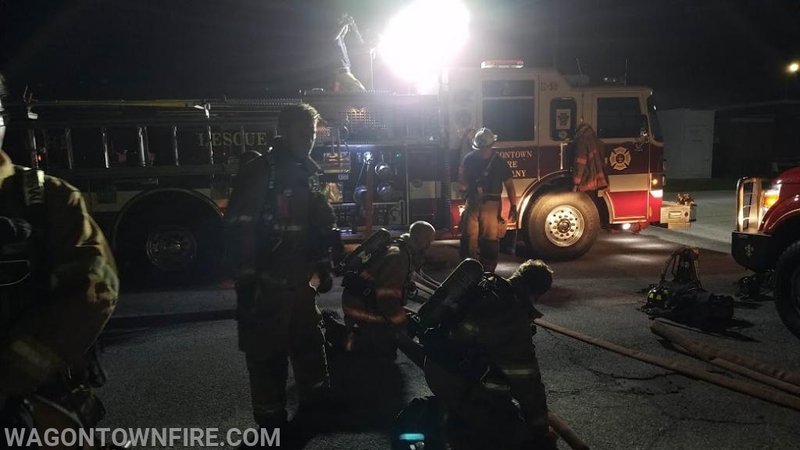 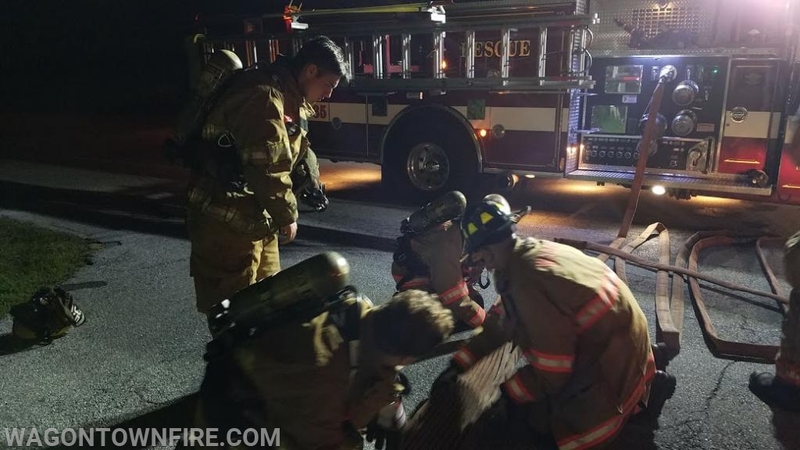 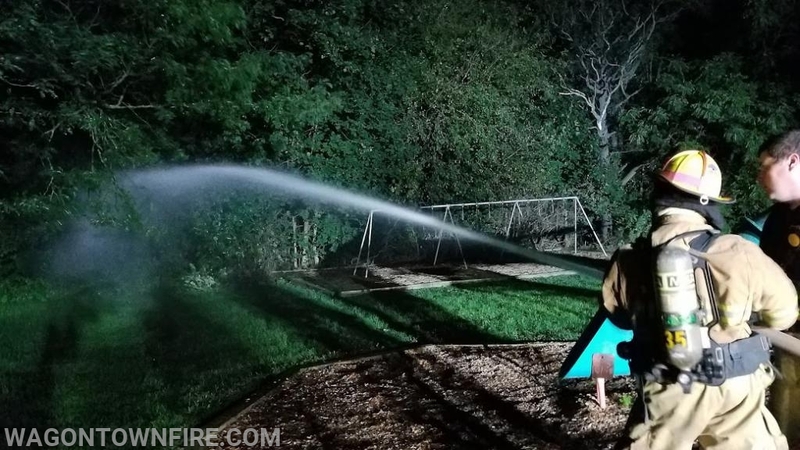 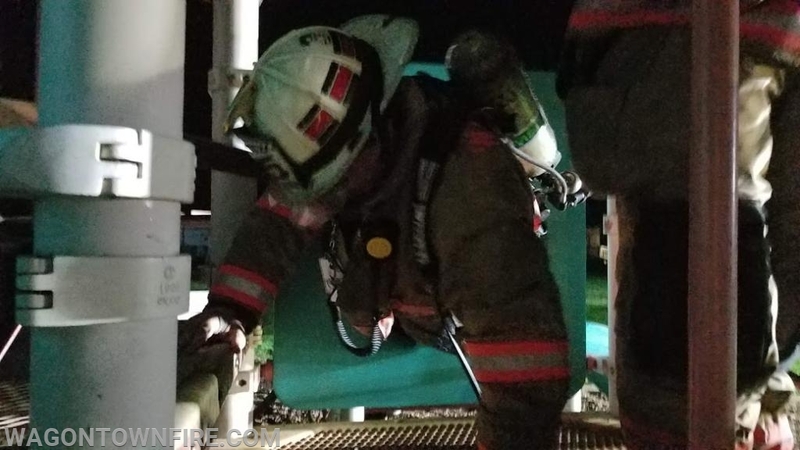 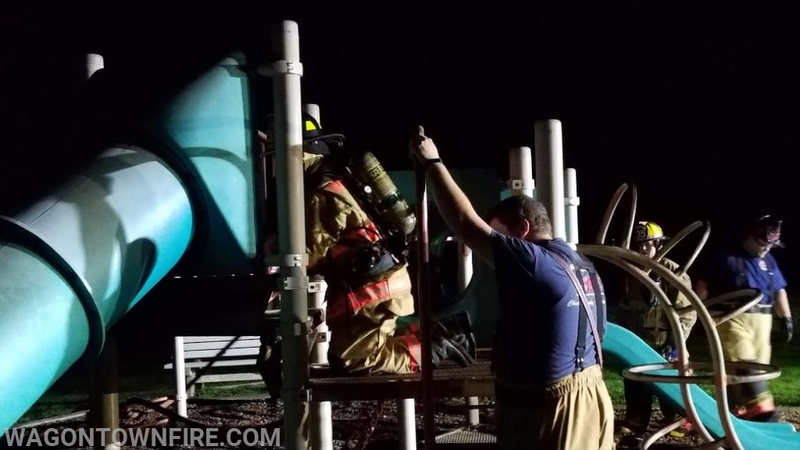 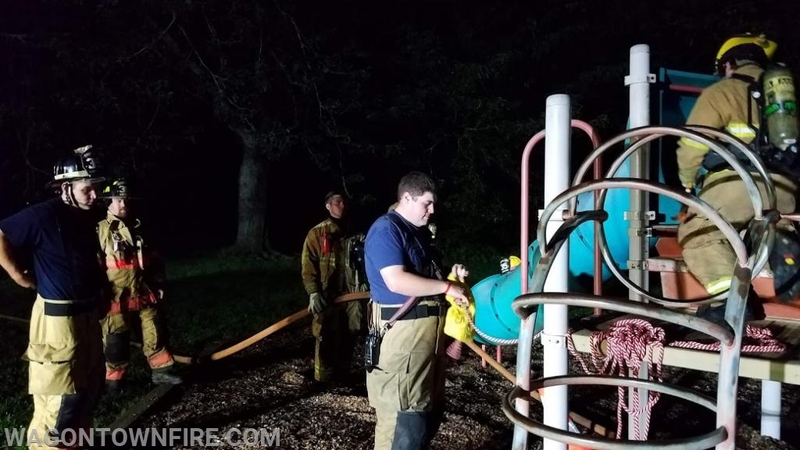 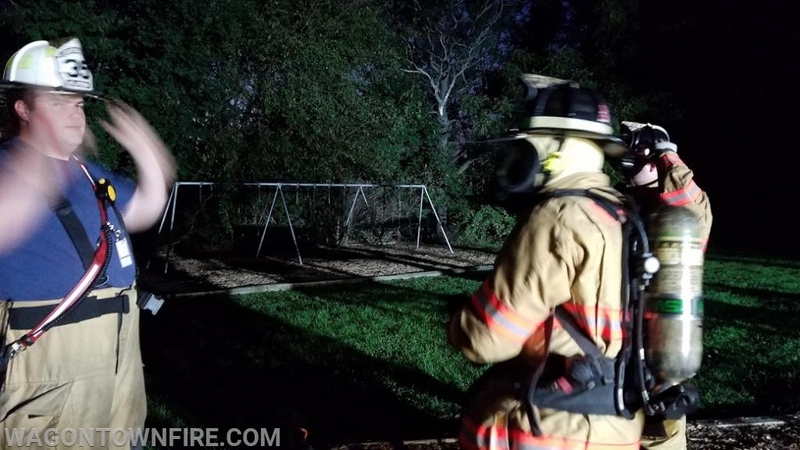 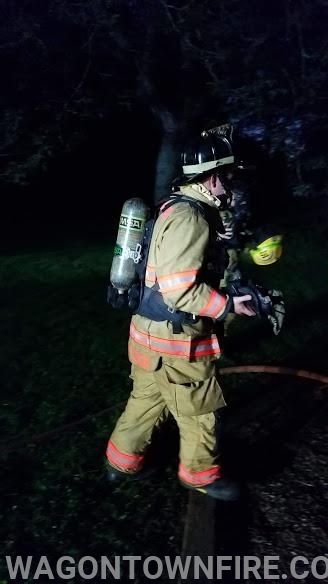 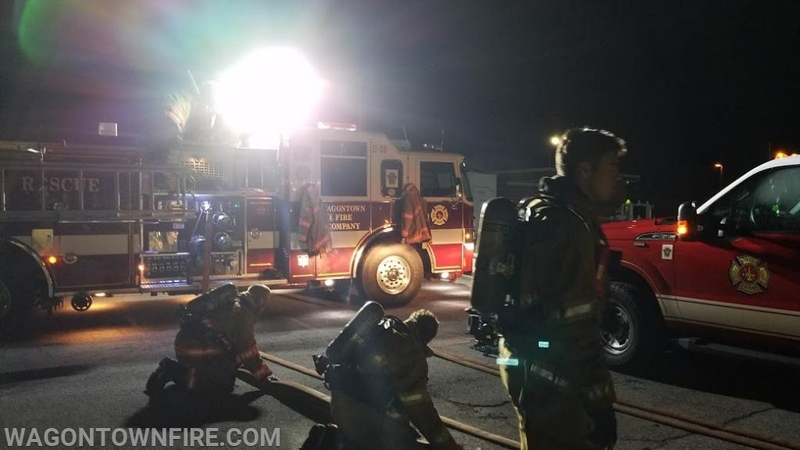 Members practiced running hand lines, making the stretch cleanly which allows for ample hose to do the jobs required, then it was coupled with areas that would cause members to become hung up. 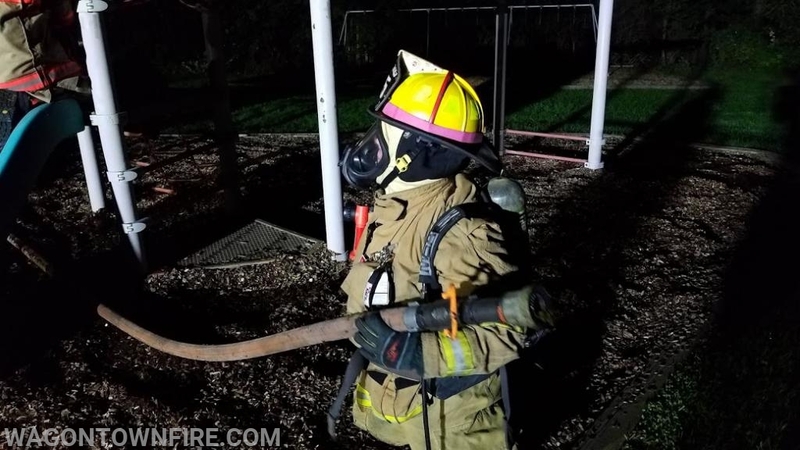 This taught them to remain calm and work to clear whatever had them hung up along with ways to get out of these issues. 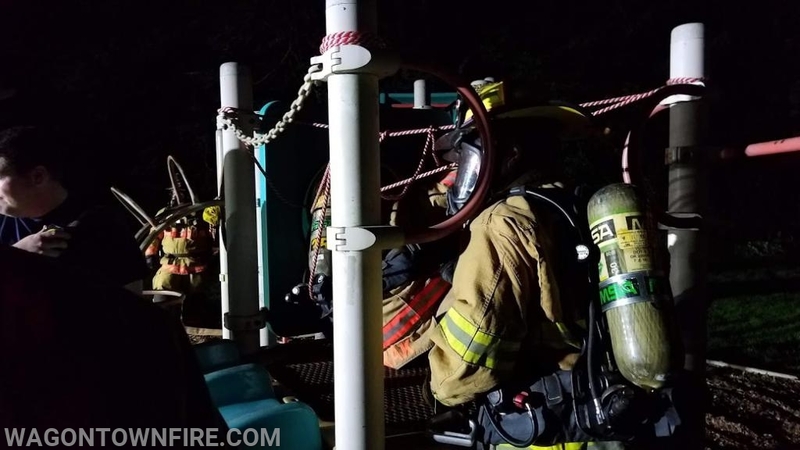 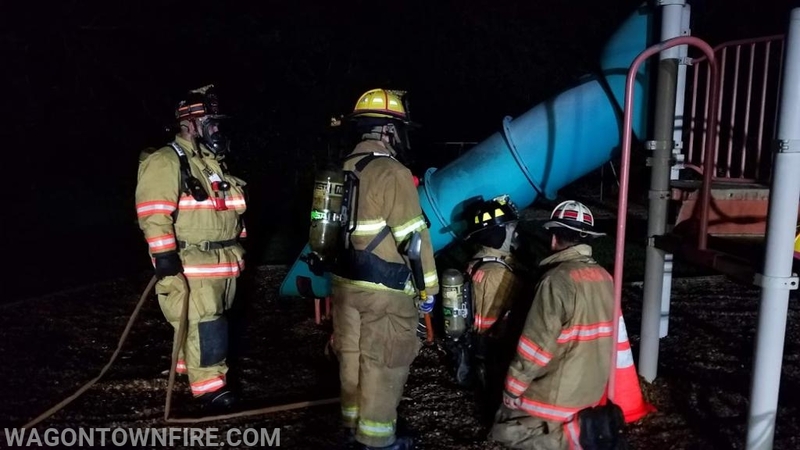 During this training it also allowed new pump operators the opportunity to operate our apparatus and become proficient in the operations of the Engine and Rescue under these types of situations preparing them for actual emergencies. 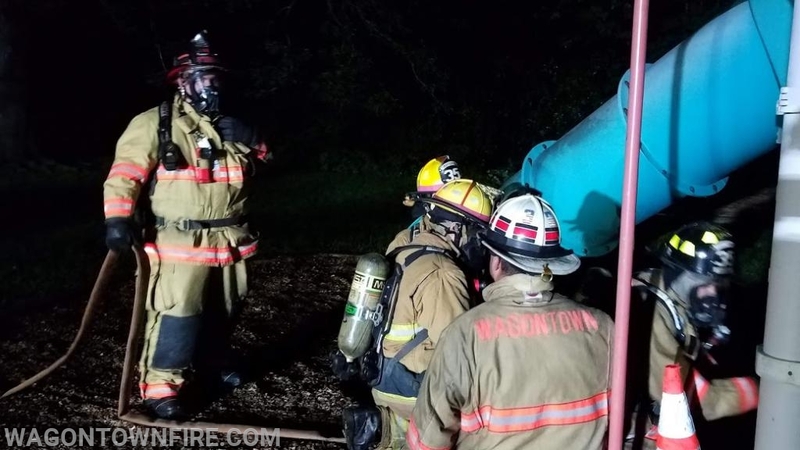 Wagontown would like to thank all the members who took time out of their busy schedules to attend training and help us better serve our community.